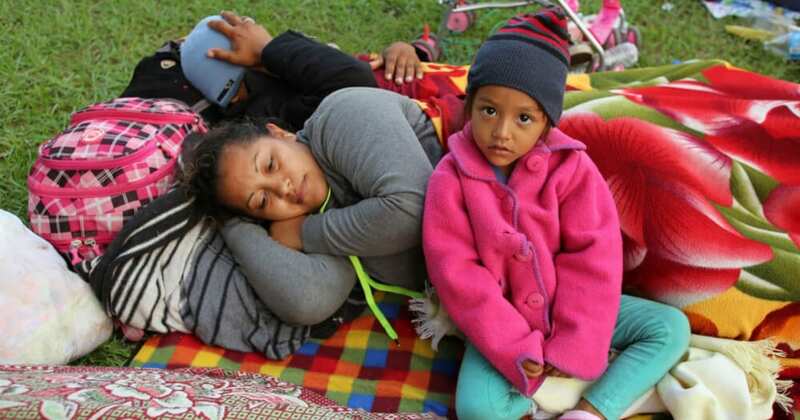 More than 20 years ago, the Ignatian family first gathered under a tent near Fort Benning in Georgia to memorialize the lives of the six Jesuits and two laywomen killed in 1989 in El Salvador by individuals trained at the Georgia military facility. The “tent” has grown in these two decades—including this year, into a new virtual gathering space. 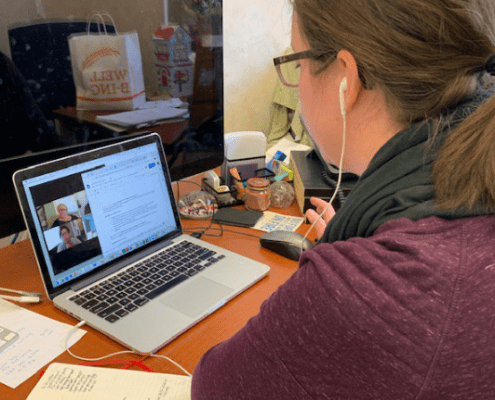 On March 2, 2019, ISN hosted the first Virtual Teach-In on Migration, an opportunity for the Ignatian family across the U.S. to gather digitally for dynamic speakers, prayer, and reflection opportunities exploring the realities of migration—both on the border and in communities across the country. 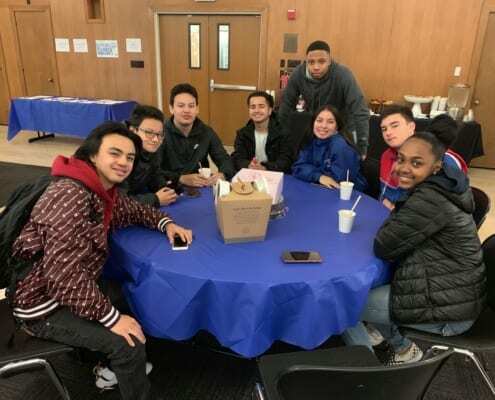 St. Ignatius Loyola Parish, St. Agnes Parish, University of San Francisco, St. Ignatius College Prep, and local community members gathered for a Virtual Teach-In watch party in San Francisco. 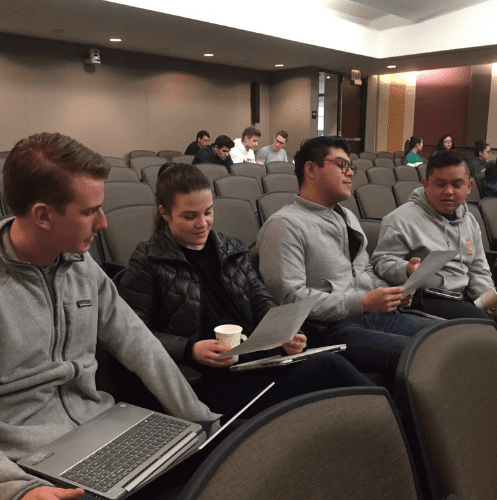 Keynote speakers included Marisa Montes, Esq., founder of the Loyola Immigrant Justice Law Clinic (LIJC) at Loyola Law School in Los Angeles and Fr. 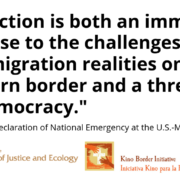 Pete Neeley, S.J., associate director of education for the Kino Border Initiative (KBI) in Nogales, Sonora, Mexico and Nogales, Arizona. Montes shared her own family’s immigration story which led her to work in immigration law and powerful stories from her practice at LIJC. Fr. Neeley spoke of the power of accompaniment and listening, witnessed in his work at KBI. 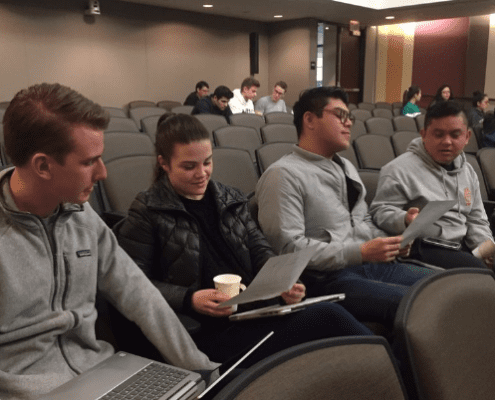 Prior to the Virtual Teach-In on Migration, Marissa Montes, Esq., founder of the Loyola Immigrant Justice Clinic, reviews a case with a student. 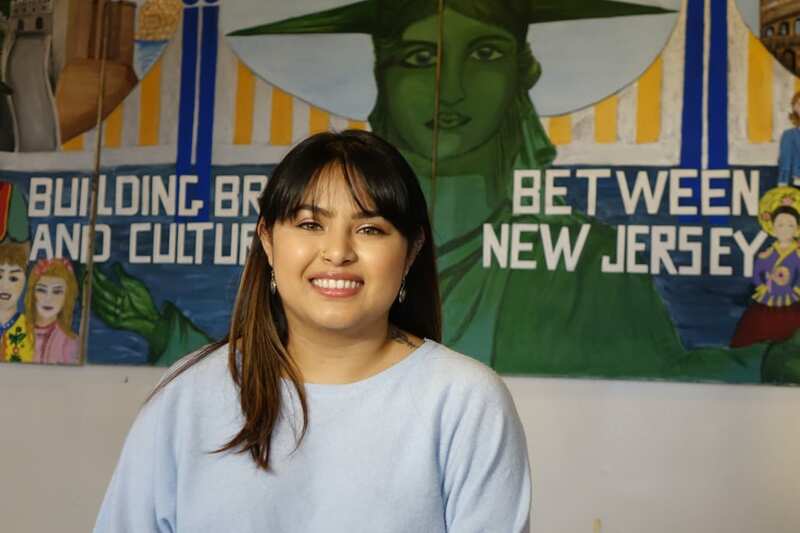 Ignatian network speakers included Aitana Libreros, a graduate of Saint Peter’s University in Jersey City, daughter of undocumented immigrants, and current graduate student and lay pastoral assistant at St. Aedan’s: The Saint Peter’s University Church. 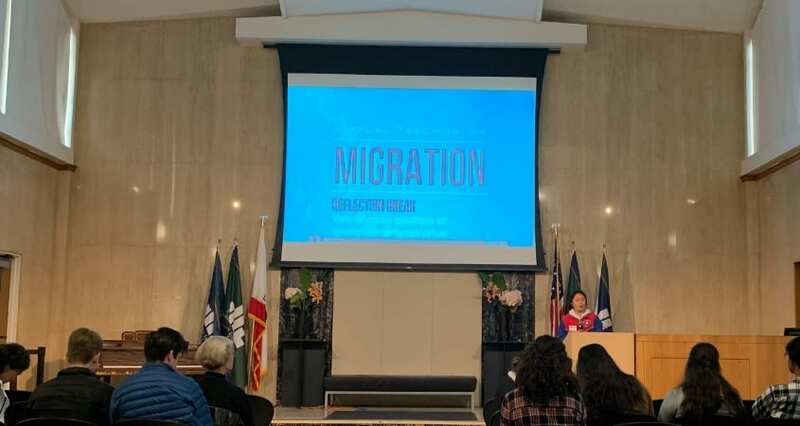 She shared the work of the new Saint Aedan’s Migrant Center—an independent interfaith project that aims to empower immigrants through education, skills development, resource access, and capacity building. Aitana Libreros, Virtual Teach-In on Migration Ignatian Network Speaker, at the St. Aedan’s Migrant Center in Jersey City, NJ. 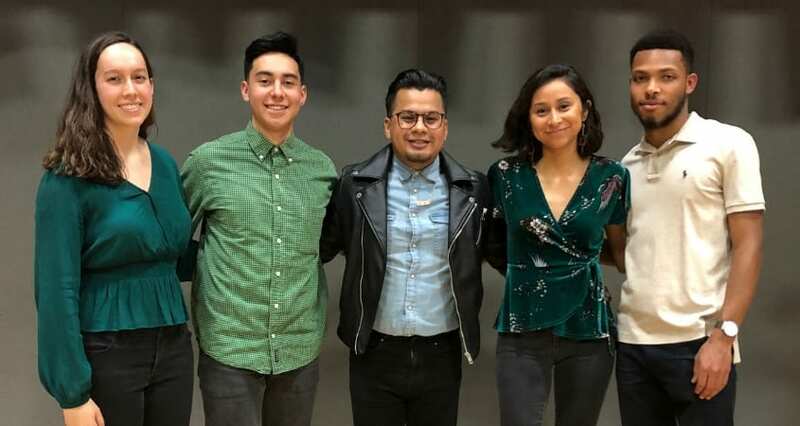 Libreros was joined by Pedro Guerrero, a native of Lima, Peru and graduate and now-employee of Loyola University Chicago, who shared experiences from his time as a volunteer at a detention center in Texas surrounding the family separation crisis. 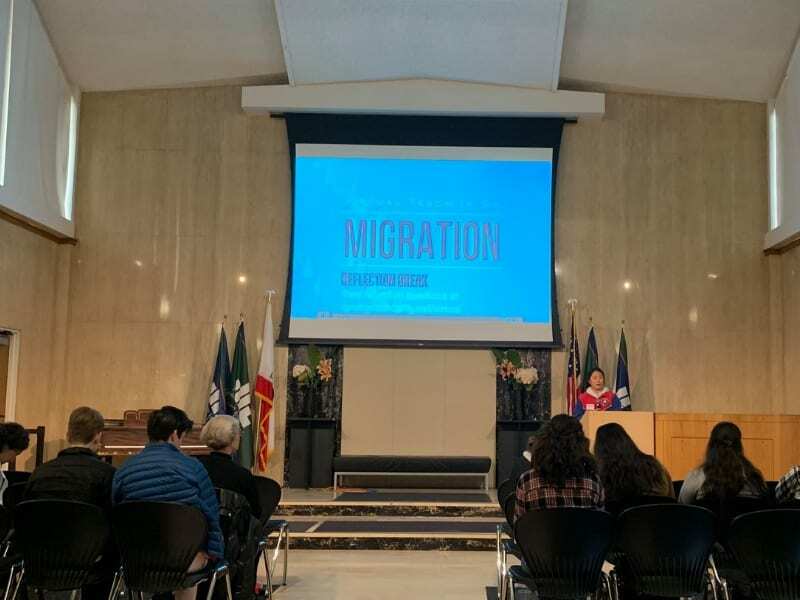 Participants were invited to utilize a new Ignatian Examen on Migration for opening prayer, and were guided through closing prayer by Loyola Marymount University professor Cecilia González-Andrieu. 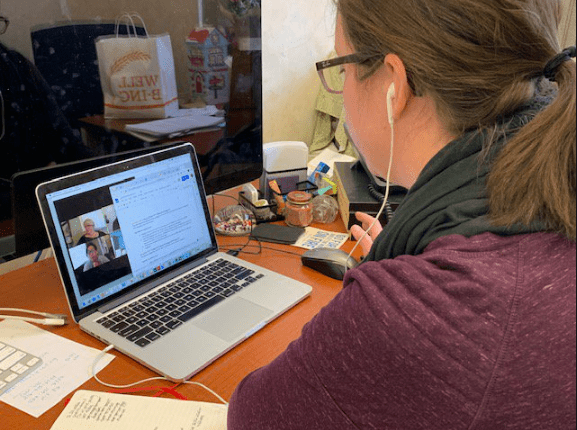 Numerous groups gathered around the country for the Virtual Teach-In, including at Creighton University, Loyola Marymount University, and the University of San Francisco (USF). 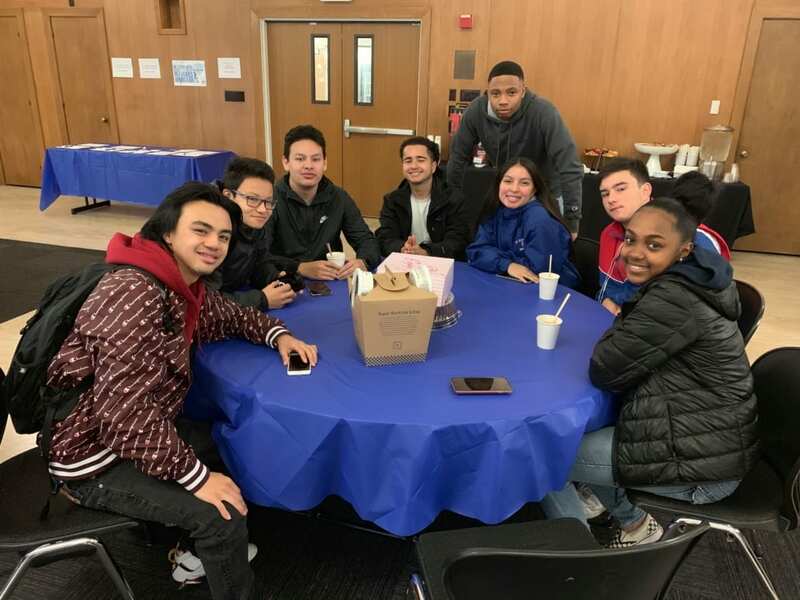 The USF gathering brought together individuals from Saint Ignatius College Prep, St. Ignatius Parish, and the university. 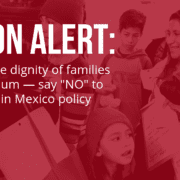 Did you miss the Virtual Teach-In on Migration? 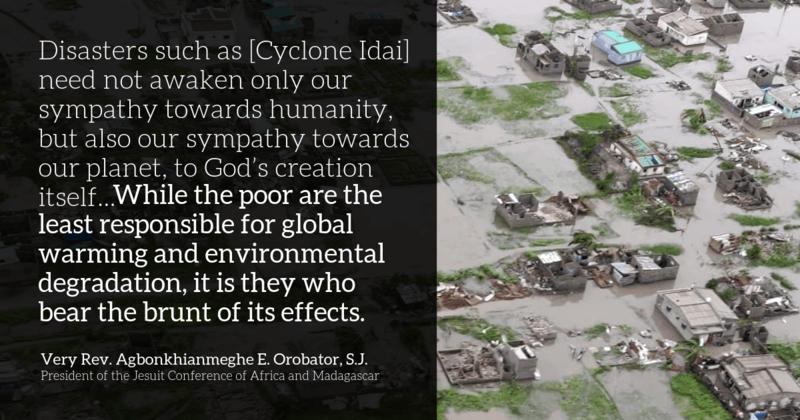 You can still access recordings from the day and prayer and reflection resources, including the new Ignatian Examen on Migration. They are the best teachers and second to none. Migrants bring freshness to our way of proceeding.